When people visit your home, the first thing they’ll notice about your home is the front entrance. We say first impressions are important, and you want your home to appear welcoming, warm and just as beautiful as you intended, right? As your guest approach your home, they’ll see your creativity and design style on display, especially when you think about plants and other exterior elements. 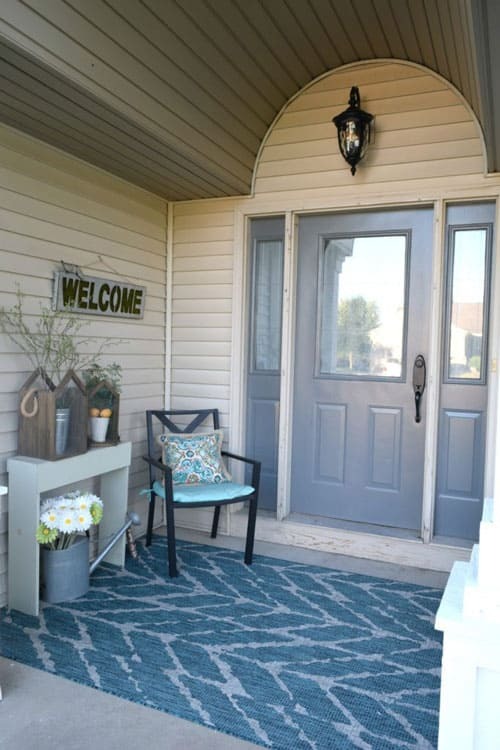 Here are a few ways to make sure you create a beautiful front entrance and add curb appeal that your neighbors will envy! Plants are an easy and effective way to add curb appeal to your home. Plants are also cheap, but they add a great pop of color to the front entrance. If you don’t have some plants already, head to your local garden supply store or nursery and load up. You can. Plant trees – look into the best ones for your area before you plant to make sure your climate can sustain the green well. 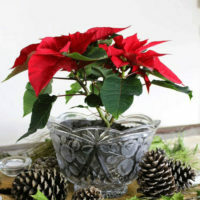 Add flower boxes – Bright colorful blooms in flower boxes make any house look gorgeous. Try out LZ’s DIY Flower Planter Dresser! It stops people in their tracks and you can customize the dresser colors to a style that complements your home. Now if your house is overgrown with grass and weeds, that’s some green you need to get rid of or at least tame! Let’s look at the plants you already have. Are they in containers? 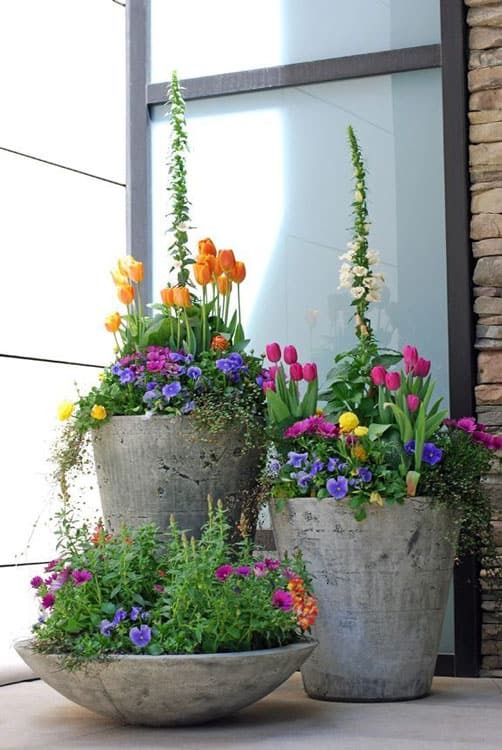 Age and weather can take its toll on containers, so is there anything you can do to spruce them up a bit? Spray paint can do wonders for faded containers and give them a whole look that brightens your home. 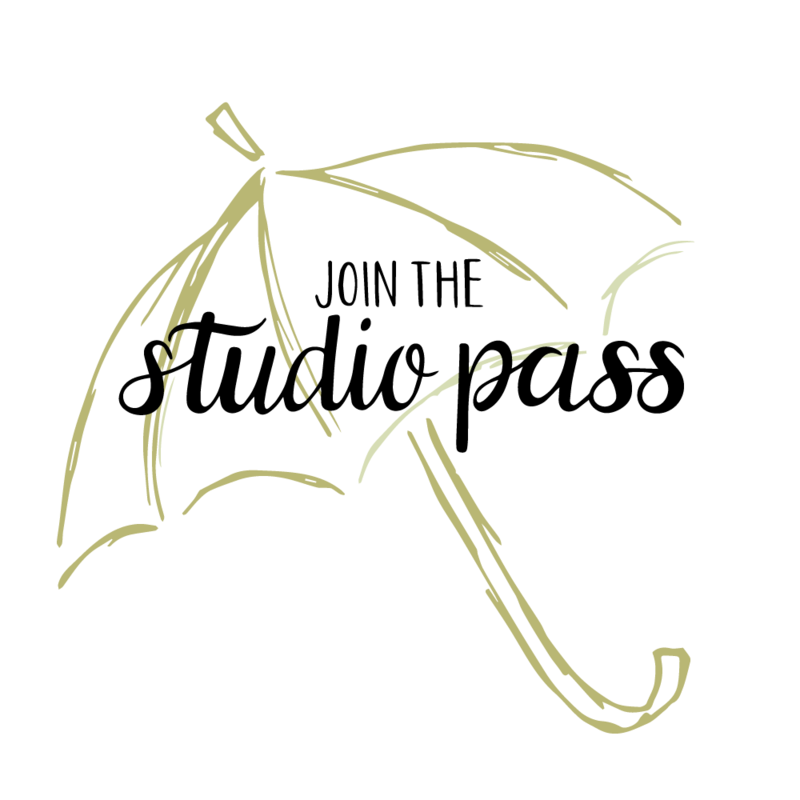 Go for the silver or gold (you know, with the Olympics coming up!) or add a big pop of color with blues, greens, yellows and more. Plus, there are easy options where you can do wonders with concrete. Love this idea above! Seeking for a way to add color outside? Paint your door! If you can’t afford a new door and want a change, paint is a great way to go. 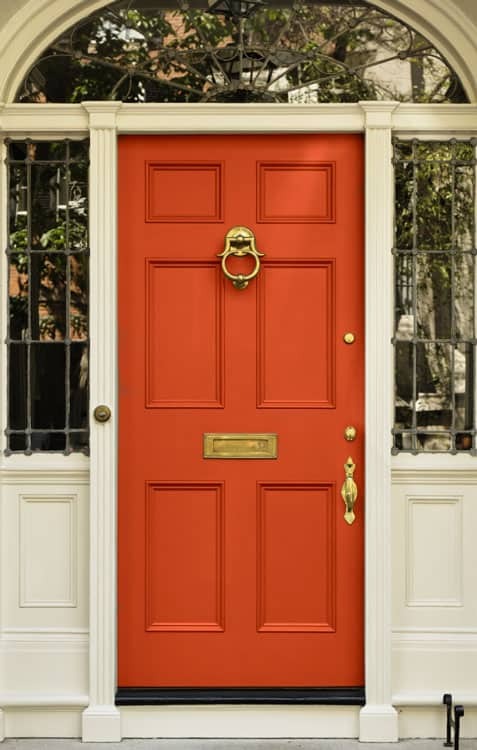 A dull wooden door can be painted a cheery new color and just doing this improves your curb appeal in minutes. It may take more than a minute to paint your door, but it’s so worth it! The new color will draw guests in and make your home look great on the exterior – and you already have nailed the interior, I’m sure! Also…there’s an app for that. Really! 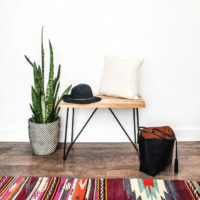 Welcome mats are great, and if you don’t have one welcoming guests into your home, you should put one out now! You can either get a natural mat and customize it with a stencil and paint, or you can buy a colorful one from the store. However, you can do more and go bigger with an outdoor rug. This lovely exterior shot from Our House, Now a Home has a great example of an outdoor rug and how it adds interest to the whole exterior! Who says art has to be inside? If your front entrance has a bit of covering, you can add a piece of art outside! 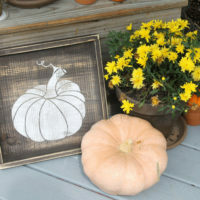 Of course, I’m going to recommend some of my fall signs (I just debuted the new collection!) but it can be anything such as..
A sign with your last name, i.e, the Cathcart home. Psst: To see more of my outdoor decorating, A sign with your last name, i.e, the Cathcart home! 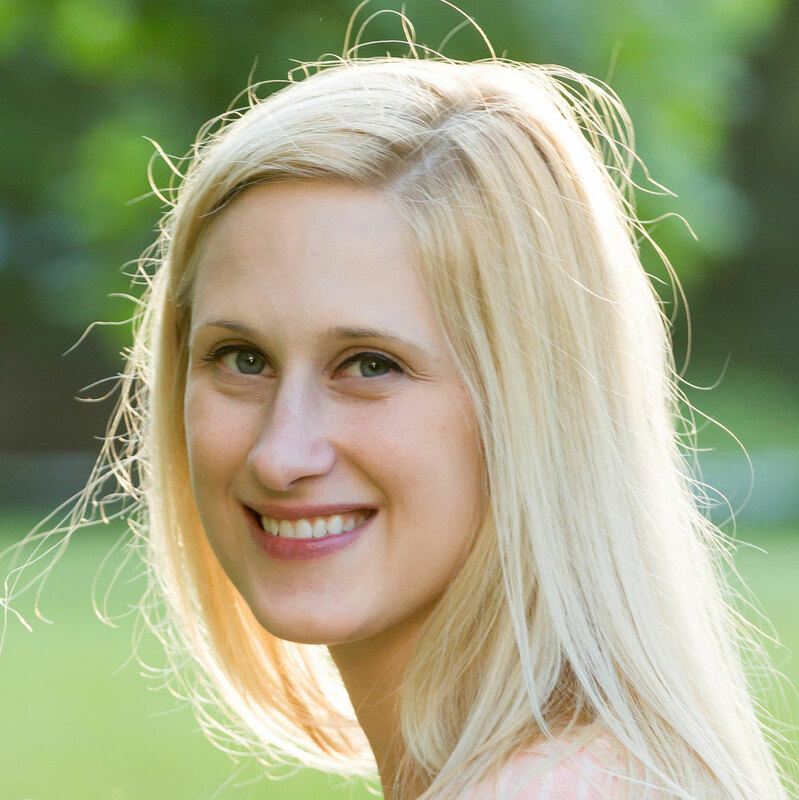 Let’s face it, sometimes the numbers our homes come with are kind of lackluster. You can easily add some great curb appeal by switching out your house numbers for something more stylish than what you currently have now. If you’re feeling brave, you can switch out the exterior lights for a whole new look. Your house may have those dated icky 1980’s lights and why not bring them into this decade? This particular exterior lighting option is absolutely drool-worthy and makes me swoon! You could also add some nice string lights for a great glow. So there you have it! A few projects that can be done in the span of a weekend and that go a BIG way towards awesome curb appeal. 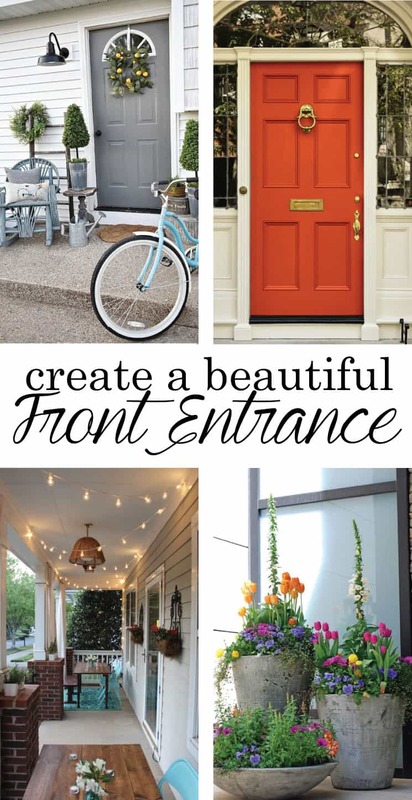 If you want to create a beautiful front entrance, start with this list. 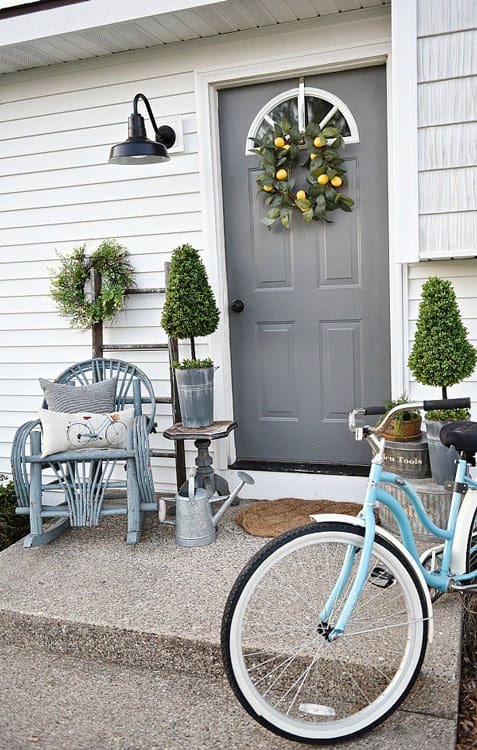 Your outside of the home should be just as pretty as the inside, so get thinking about how you can implement some of these ideas.